Welcome back, I hope everyone had a safe, relaxing and enjoyable holiday. 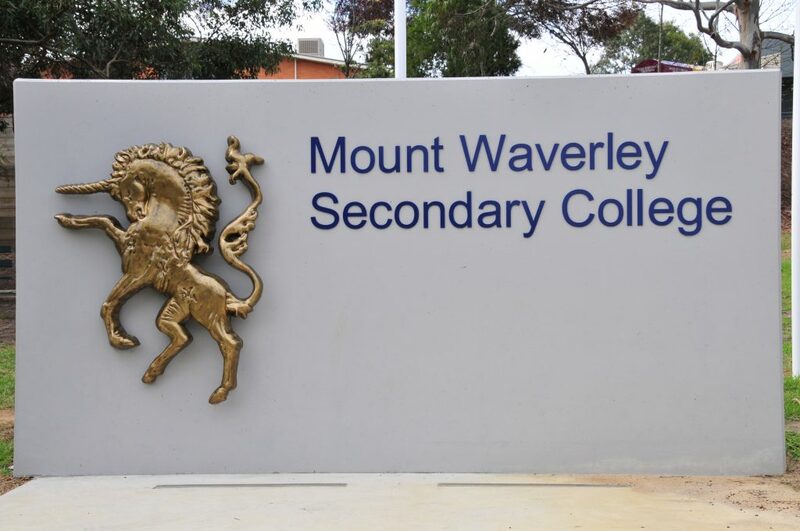 As College Principal I look forward to joining with students, teachers and parents for another exciting and productive year of teaching and learning at Mount Waverley Secondary College. I am pleased to report that the college continues to build upon our successes. Our 2018 VCE results were excellent with our College Dux, Lynn Xu, receiving an ATAR score of 99.4, seventeen students received an ATAR of over 95, fifty of our students scored 90 or more which is a great achievement. A very warm welcome to all new students and their families. You are embarking on a wonderful learning journey, which will be enhanced by always trying your personal best. Mount Waverley Secondary College provides a learning community where we all respect and care for each other, always working cooperatively as a team. In addition our college provides you with magnificent facilities and resources which are yours to use to maximise your learning opportunities. Please don’t be afraid to ask questions. Staff and students are eager to help you make a successful transition into our college. Campus assemblies were held on both campuses recently. The theme of the assemblies was ‘Our Vision’ and I spoke to the students about the new vision of the college that was created for the learning community as part of the 2019 – 2022 Strategic Plan. 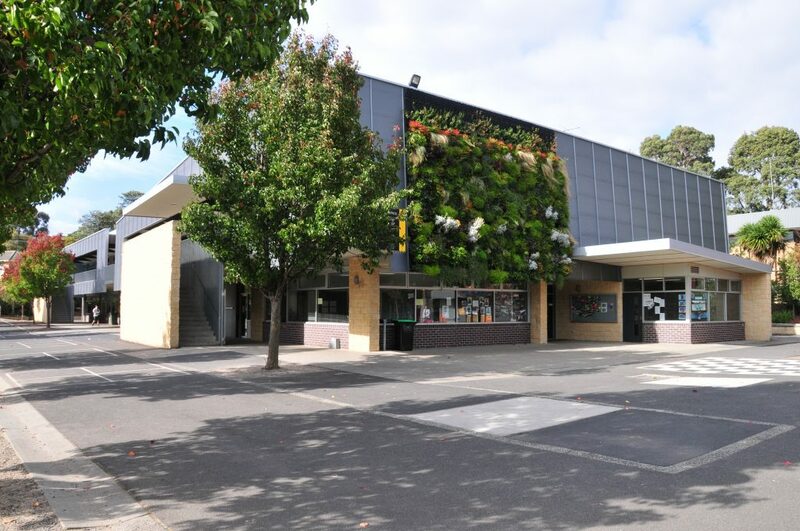 I read our vision to the students “Mount Waverley Secondary College” is a proudly diverse learning community where everyone is empowered to strive for growth and excellence”. Lynn Xu our 2018 College Dux who received an ATAR of 99.4 came and spoke to the students and gave some of her study tips. The Department of Education and Training has approved the commencement of the electoral process for the election of School Councillors for 2019. Our College Council consists of seven parents, five staff members (including College Principal) and four community members. Monday 18 February – Nominations displayed at each campus. Election held if required. Friday 1 March – Close of ballot 4.00pm. Votes counted. Thursday 14 March – College Council AGM, followed by meeting of new Council. If the number of nominations exceeds the vacancies in either the parent or staff categories, an election will be necessary. All parents are entitled to vote for parent representatives and Department of Education and Training (DET) employees vote for staff representatives. Vote in person at the college general office at either campus between 8.00am and 4.00pm during the election period. The DET Employee Member Category includes the principal of the school and DET employees engaged in work at, and for, the school. School Councillors currently play an important role in decision making and the management of our college. They donate many hours to the sub committees of Council: Finance, Education and Buildings & Grounds. Councillors belong to one sub committee, attend one monthly council meeting and represent the college at many functions. 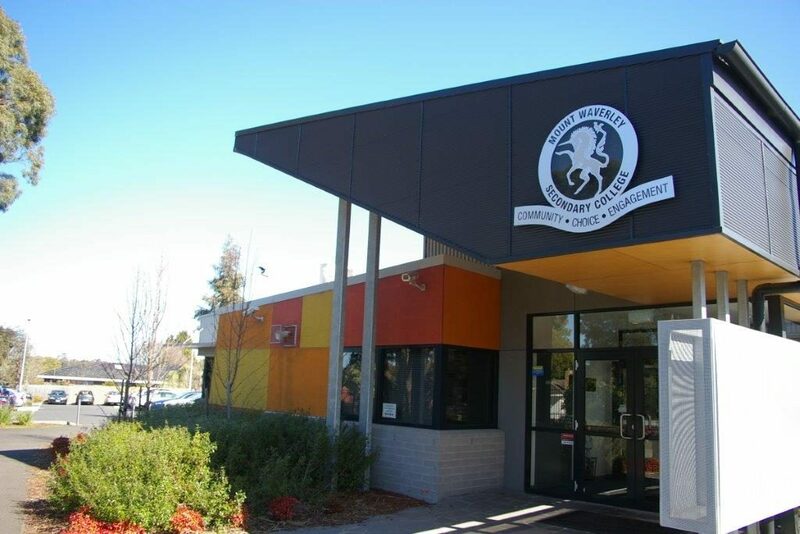 An election is to be conducted for members of College Council of Mount Waverley Secondary College. Nomination forms may be obtained from the college General Offices or the college website and must be lodged by 4.00pm on Friday, 15 February 2019. If the number of nominations is less than the number of vacancies, a notice to that effect and calling for further nominations will be posted in a prominent position at the college. If there are more nominations than vacancies, a ballot will be conducted. The ballot will close at 4.00pm on Friday, 1 March 2019. All families should have seen a copy of our 2019 College Uniform Policy. Please note that this year we have phased out certain items such as the green and yellow spray jacket and plain grey trousers and shorts. From 2019, only the college grey shorts or trousers with the college logo are to be worn. Year 7-10 Physical Education students must wear the MWSC approved breathable polo shirt with a college logo with the ink coloured unisex sports shorts or trousers (available for purchase from PSW). The college sports cap with logo must be worn in Terms 1 and 4 in every PE class. Year 7 & 8 students will continue to wear the black MWSC slouch hat outdoors in Term 1 and 4 during recess and lunchtime. 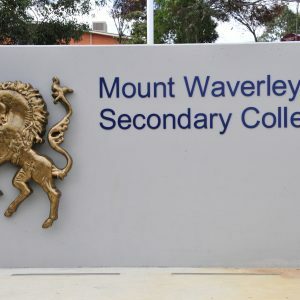 Mount Waverley Secondary College is the college of choice in our local area and it is important that our students wear the uniform with pride, representing the college in a positive manner. Welcome back to all of our senior students, it has been a productive and smooth start to the year. A special welcome to our new students and families who have joined our college community in 2019. 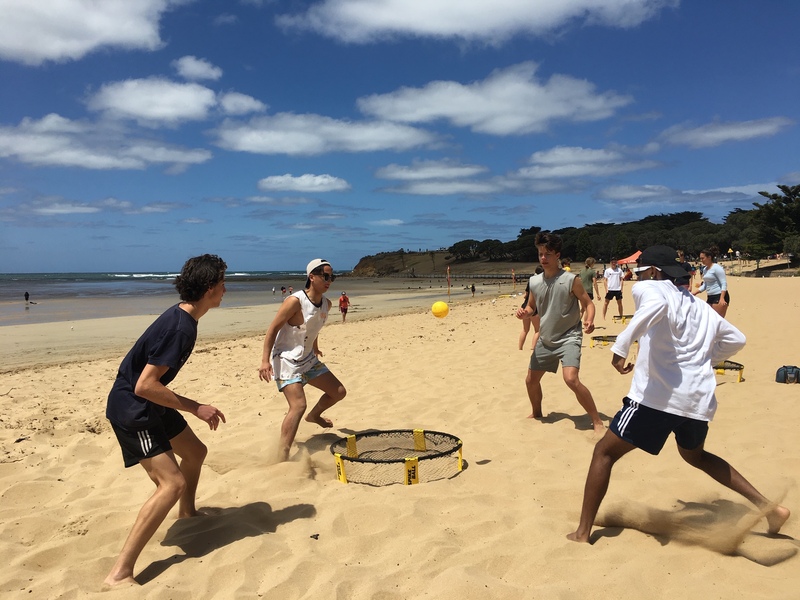 Last week our students in Years 9 to 12 were involved in a range of different camps, activities and programs. 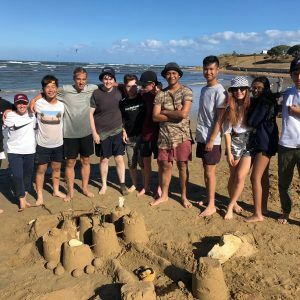 The Year 12 students attended a special program and then a two day camp. Feedback from staff and students was positive and it is a good way for staff and students to strengthen working relationships and for the students to further develop connections with their peers. The Year 11 students were involved in a Flying Start and spent time at Deakin University where they completed a tour of the campus, listened to sessions on careers and marketing and heard from four of our alumni who were attending or who had attended Deakin. The second day involved sessions on wellbeing and relaxation, completing VCAA paperwork and sessions on study skills. Thanks to all of the senior subschool who planned and organised the programs and to all of the staff who attended and the students for their active participation. All students have received a student planner. There are tips, ideas and strategies for managing their school work. The college also asks for your co-operation in ensuring our students are in correct uniform and wearing the uniform with pride to and from school and during the school day. The uniform requirements are set out in the student planner and in the Uniform Policy on the college website. If, for some reason, your child is not in full school uniform please contact the subschool or provide a note so a uniform pass can be issued. The car parks off Lechte Road and Gordon Road are for college staff only. There are a few spaces available near the General Office at the front of the college for visitors. Parents and carers are asked to drop students off in the surrounding streets – obeying the parking restrictions and are not to enter the school grounds. When dropping off and picking up students please be mindful of other motorists and pedestrians. Announcements and information is available for parents and students through Compass, please check this on a regular basis. Information on Common Assessment Tasks (CATs) and School Assessed Coursework (SACs) is also provided on Compass. During 2019 the college will continue to report and provide feedback on student progress after a CAT or SAC in a timely manner. Parents/ carers are asked to access Compass on a regular basis. Parents/ carers are reminded that the Department of Education and Training does not provide personal accident or ambulance cover for students. Parents and carers of students, who do not have private health insurance or ambulance cover, are responsible for paying the cost of medical treatment for their injured child. Private property bought to the college by students, staff or visitors is not insured and the Department is not responsible for any loss or damage. This can include mobile phones, calculators, sporting equipment and cars parked on school premises. It is recommended that parents/ carers consider insurance policies that can be purchased from commercial insurers. The first week of year 12 started with a massive bang! Students arrived on the first day for a special program that included four sessions which entailed VCAA Paperwork, Camp preparation and mentoring, Elevate Study Skills and a guest speaker to discuss with the students tips and tricks for preparing for interviews. Then on Thursday 31 January, 230 students arrived at 6am to attend Surf Camp. 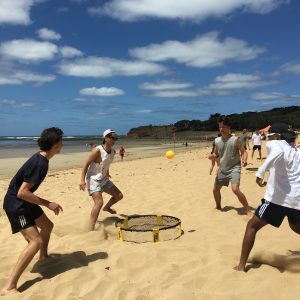 Every student had a different itinerary based on what they were interested in, activities included; Surfing, Kayaking, Mountain Bike Riding, Fishing, Golf, Tree Adventure, Waterfall walks, the Bells Beach Walk, Alternative and Traditional Beach sports, Masterchef, Photography and Landscape drawing. 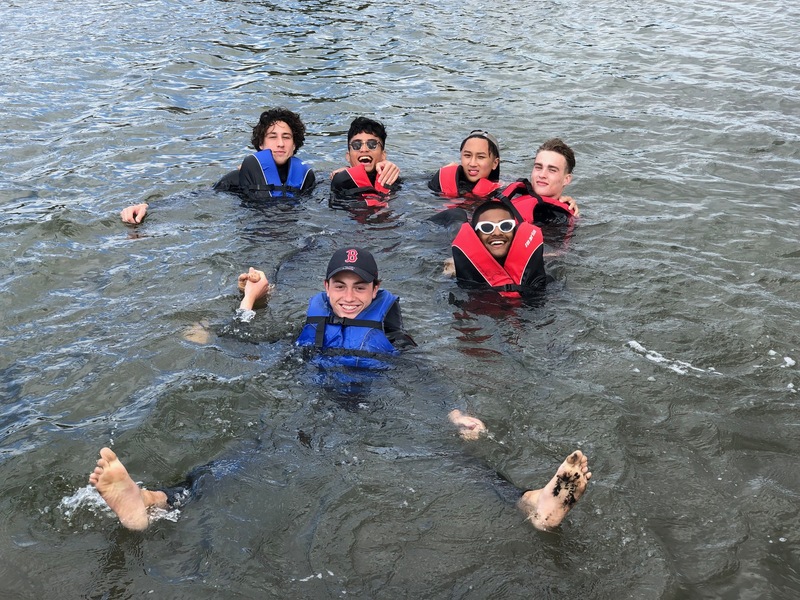 During the camp students focused on strengthening their resilience as well as their leadership and communication skills, this was put to the test with various team building activities. The camp was extremely successful due to the support of the staff who attended as well as the resilient and well behaved students. Thank you to all those who were involved! Welcome back to what will be another busy year in the Middle School. My name is Ian MacLeod, I am the Campus Principal who works with Middle School. I would particularly like to welcome our Year 9 students and families as they start their journey at the Senior Campus of the college. We welcomed our Year 9 and 10 students to the college last week. With the Year 9 Inspire program seeing students involved in a first aid course, problem solving, a city trip and a day of sports to name some of the activities. 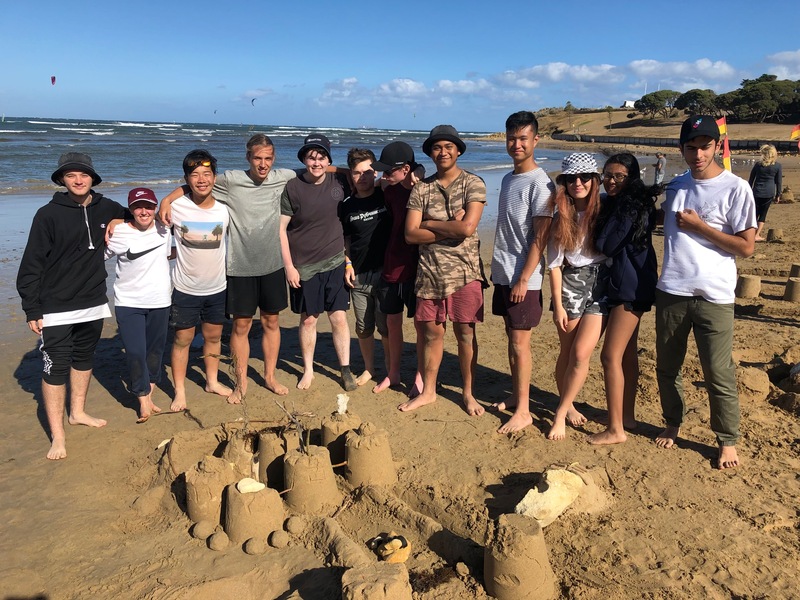 Our Year 10 students travelled to Federation University at Ballarat for a 2 day camp where they were involved in wide range of activities including team building sessions, bushwalking and water aerobics. Students also had presentations on student agency and voice, how to manage their device and tips on how to succeed in Year 10. Thanks to our staff who supported these programs and to our Middle School Team for their work in organising and running both of these fantastic programs to get our school year started on a positive note. The Middle School team are here to help you support our Year 9 and 10 students both inside and outside the classroom. Please contact the coordinators if you need any support. Student have received their diaries which are valuable tool to support their learning. Students should record homework and upcoming events to assist with time management and organisation. The diary also contains many worthwhile resources and parents are encouraged to check it weekly and discuss “What went well” for the week. 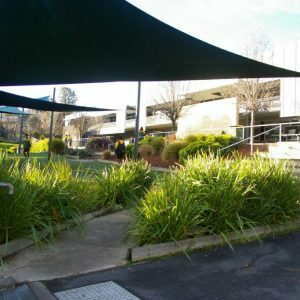 The Senior Campus has parking which is for staff only. 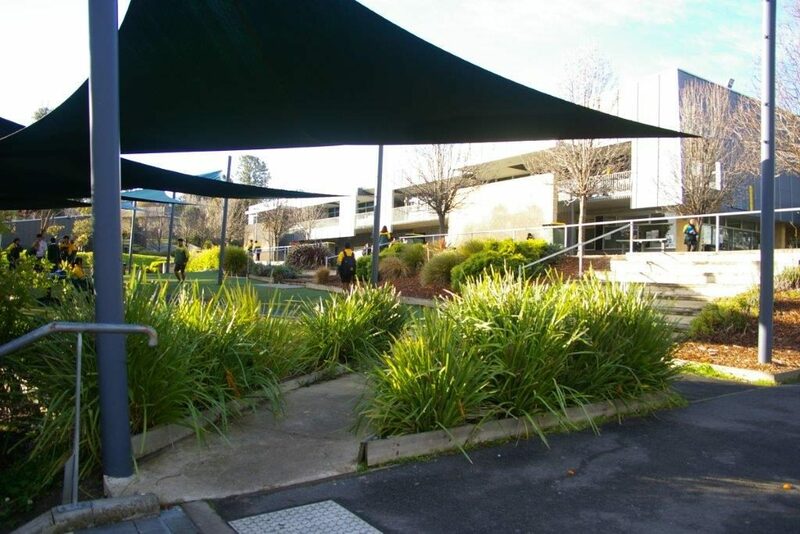 The carparks at the Senior Campus should not be used for dropping off or picking up students as this creates a safety issues for both staff and students. Students should be dropped off and picked up in adjacent side streets near the Senior Campus. When parking near the college it is important that parking signs are observed and we ask that you respect our local residents by not blocking their driveways as you drop off or pick up your children. With the commencement of the school year it is timely to remind all members of our College Community to observe all road laws. In particular cyclists must wear helmets and when students are crossing roads, it needs to be done with care and observing traffic signals and the crossing supervisor if present. Please discuss this with your son/daughter and emphasise the need to follow correct road safety practices to keep everyone safe. All parents should now have access to Compass. Compass is used to communicate with parents on a wide range of activities within the school. Compass can be access through the college website using any web browser (Internet Explorer, Firefox, Chrome, Safari) via your desktop computer or mobile device. Alternatively, parents can also download the Compass App from the Apple App store or Goggle Play by searching “Compass School Manager” which will allow you to access Compass through their mobile device. It is important to note that some of features of Compass are only available in the “browser” version. Across the holiday period the ICT and Facilities Teams were busy improving the college. Thanks to ICT and Facilities Team for their great work across the holiday period. Arthur Read Photos will be at the College on Monday 11& February to take our school photos. Students should come in the correct summer uniform for photos. Students have received a flyer outlining how parents/guardians can order photos online. A warm welcome is extended to all students, parents and staff of our school community, particularly for those families who are new to the college. I would like to congratulate the Middle School students on their positive start to 2019. Week 1 was an exciting week with our Year 9 students participating in the Inspire Program, and our Year 10 students attending the Year 10 camp at Federation University. A big thank you to the Year Level Coordinators for overseeing both programs. It promises to be an exciting year ahead with many extra curricula activities planned across all areas of the college. Students will have the opportunity to participate in sporting activities, leadership teams and events, the college production – The Adams Family, music ensembles, and many lunchtime clubs and activities. I encourage all students to make the most of these opportunities and get involved. If you require support for your child please contact the Year Level Coordinators in the Middle School. All students were provided with a college diary at the beginning of week 1. The diary is a tool to help students improve their organisational skills by recording homework and assessment tasks. The college diary has been develop by the Resilience Project. On each page there are tips and ideas to help students build resilience in their daily lives. I encourage all parents to sit down with their child to read through the diary and discuss how some of these resilience strategies could be adopted outside of school or even in the home. Please note that if a student misplaces their diary they will not have the opportunity to repurchase a new one. Students are required to write their name on their diary along with their contact details. Welcome back to the Junior Campus for another exciting year. I would particularly like to welcome our Year 7 students and their families as they start their journey at the college, along with all new students who have commenced. Our Year 7 students’ first two days at the college involved a specially designed program to help them get a feel for the college. This built on the transition program which commenced last year and provided a great opportunity for students to get to know their new school, new class mates and teachers including their Home Group teacher. Our Year 8 students arrived for a special program on their first day designed around the themes of ‘Resilience and Challenge’. The feedback on the start of the year from students, parents and staff has been very positive. 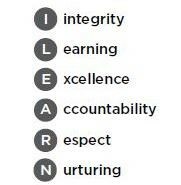 Our College Values are extremely important in providing guidance as to how we act and demonstrate these in our behaviours and learnings each day. It is something that resonates with me in my reflections as to how I am role modelling these to members of our college community. I encourage you to also reflect on how you are demonstrating these values and what they look like in action. All Year 7 and 8 students received their planners which are a valuable tool to support their learning. Students should record homework and upcoming events to assist with time management and organisation. The planner also contains many worthwhile ‘Resilience Project’ resources and parents are encouraged to check it weekly and discuss the successes that week. During Term 1 we hold information evenings for parents/carers to outline the programs and expectations for each year level. Our first evening for Year 7 was held on Tuesday 5 February which was well supported with a large number in attendance. We started the evening with a Welcome BBQ which was a chance for parents and carers to meet other parents and staff. A large number of our Senior and Junior Senior Leaders were also present to welcome families. Following this, we held an information session in the Hall with presentations from key staff to outline more about our excellent college and key themes and events that will run throughout the year. Parents then met with their child’s Home Group teacher who covered a range of topics including uniform requirements, homework expectations and information about the upcoming Year 7 camp. We held our Year 8 Information Night on Thursday 7 February. This information night was also well attended and was designed to help understand what students will experience throughout Year 8. Thank you to our Junior School Team for all of their work organising and running these evenings. On Friday 8 February we held our first Junior Campus Assembly for 2019 with students singing the National Anthem and School Song, as well as hearing from our College Principal Mrs Karen Wade. It was great to have our 2018 College Dux, back at the college giving our students an insight into her success as a student. Our Junior School Captains and House Captains were also introduced. On Tuesday 12 February during period 2, all students in Years 7 to 11 will participate in a session on setting goals for this year. These sessions will be led by our Year 12 students. On the Junior Campus, students in Years 7 and 8 will be mixed into House groups, with 3 Year 12 students and a staff member there to help support this process. On the Senior Campus, students in Years 9, 10 and 11 will be mixed into House groups, again with 3 Year 12 students and a staff member to support. Students set three goals in the following categories: Community, Choice and Engagement which represent our college motto. To assist in achieving these goals, our students will also come up with strategies of how they will achieve them and evidence that can be used to measure growth across the year. All of this can be viewed by parents/carers via the Insights tab on Compass. I encourage you to discuss your child’s goals, strategies and evidence with them to support their growth this year. Students will meet in these groups during Term 2 and again later in the year to reflect on their successes and further areas for development. Thank you to the Student Goals Team of Leading Teachers who were key drivers in the organisation, planning and leadership of this learning initiative that began for the first time last year: Miss Hayley Dureau, Mr Matt Sheehan, Mr John Simon and Ms Claire McCormack. The Junior Campus only has a small number of onsite parking spaces which are for staff only. These staff carparks at the Junior Campus should not be used for dropping off or picking up students as this creates a safety issue for both staff and students. Students should be dropped off and picked up in adjacent side streets. When parking near the college it is important that parking signs are observed and we ask that you respect our local residents by not blocking their driveways. A reminder for all parents/carers not to come onto the school grounds at the end of the school day to pick-up your child. This causes congestion for us and also presents an issue as to who from the general public may be on site without permission. With the commencement of the school year it is timely to remind all members of our college community to observe all road laws. In particular, cyclists must wear helmets and when students cross any road, it needs to be done with great care, observing traffic signals and the crossing supervisor. Please discuss this with your child and emphasise the need to follow correct road safety practices to keep everyone safe. Parents/carers are reminded that the Department of Education and Training does not provide personal accident or ambulance cover for students. Parents and carers of students who do not have private health insurance or ambulance cover are responsible for paying the cost of medical treatment for injured students. Private property bought to the college by students, staff or visitors is not insured and the department is not responsible for any loss or damage. This can include mobile phones, calculators, sporting equipment and cars parked on school premises. It is recommended that parents and carers consider insurance policies that can be purchased from commercial insurers. All parents and carers should now have access to Compass which is used to communicate with families on a wide range of activities within the college. Compass can be accessed through the college website. Alternatively, you can also download the Compass App by searching “Compass School Manager” which will allow you to access Compass through your mobile/portable device. It is important to note that some features of Compass are only available in the “browser” version which can be activated using the App versions. Welcome to 2019! The start of the year has been busy and positive and has provided opportunities for students to set up good learning habits and high expectations for the remainder of 2018. A key focus for the Year 7 students has been adapting to a new community and they have approached new challenges with boundless enthusiasm. In the first two days, students completed an iLEARN program where they explored the school’s values, discussed character strengths, competed in a House Tournament and spent some time getting prepared for the year ahead. The Year 8s also had a one-day program focused on resilience, values, house spirit and getting organised. 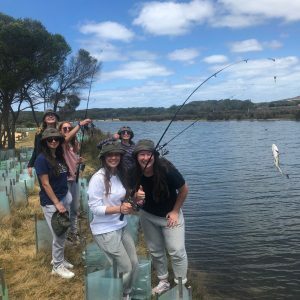 There are some exciting events coming up for Junior School students including the Year 7 Orientation Camp to Phillip Island and the Year 8 Challenge Program. In the coming weeks a range of clubs and activities will also begin, including an orientation session at SYN FM for interested Year 7 students before they have the chance to host their own radio shift later in the year. Thank you to Ms Sarah Smith, Junior Campus Activities and Student Leadership Coordinator, for all of her work so far in preparing opportunities like this. We are fortunate to have such a hardworking team of staff supporting students in the Junior School this year. Thank you to our Campus Principal, Mr Andrew Batchelor, Junior School Leader, Ms Lauren Kelly, and Year Level Coordinators, Ms Rachael McCracken, Ms Samantha Cody, Ms Jo Rogers and Mr Mark Quiambao, for their hard work and commitment to supporting the learning and wellbeing of all students in their care. 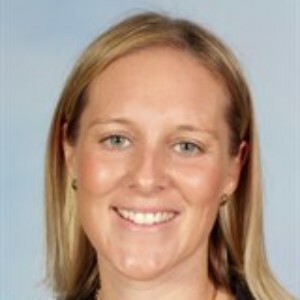 Thank you also to Ms Danielle Mott (Student Wellbeing Coordinator) and Ms Margaret Taylor (Individual Needs Coordinator) who have provided expert support and guidance to our students to ensure their year has started as smoothly as possible. We look forward to a successful and challenging year ahead in the Junior School and thank all students, families and staff for their support in ensuring the start of the year has been a positive one. 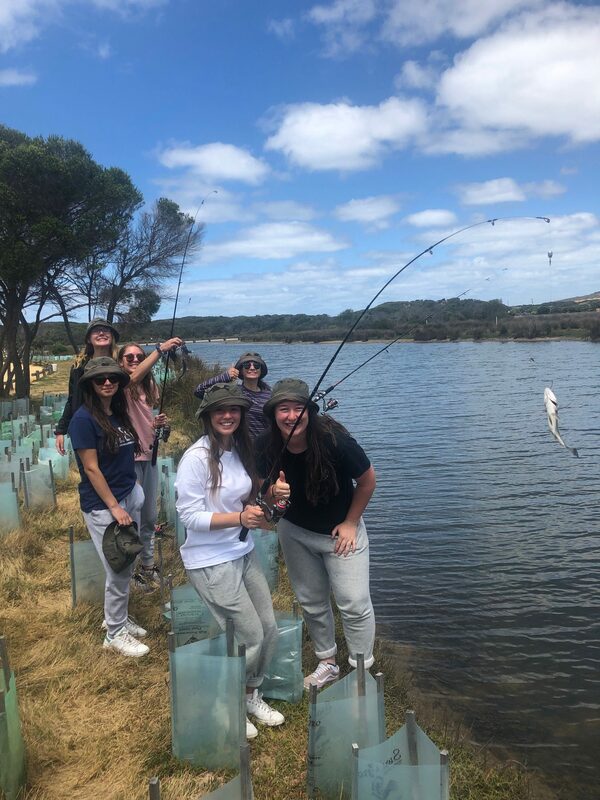 The School for Student Leadership is an opportunity for six 2019 Year 9 students to attend the Snowy River Campus with Year 9 students from across the state for the duration of Term 2 in 2019. Students develop leadership, communication, teamwork and life skills during the ten week program. 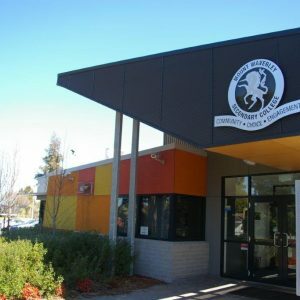 There are two positions (1 x male, 1 x female) available to attend the Snowy River campus in Term 2. The cost of this program is approximately $1,100.00 per student. Further information can be found on the Snowy River website: www.snowyriver.vic.edu.au. To express interest, please contact Miss Hayley Dureau on 98036811 or dur@mwsc.vic.edu.au. Congratulations to Gazi of Year 9, who has been selected as a member of the 2019 Victorian Youth Congress. The Victorian Youth Congress is an advisory group of young people aged 12 to 24 who will work with the government on priority issues for young Victorians. The program is a flagship project of the Andrews Government’s Youth Policy: Building Stronger Youth Engagement in Victoria. Congratulations Gazi! 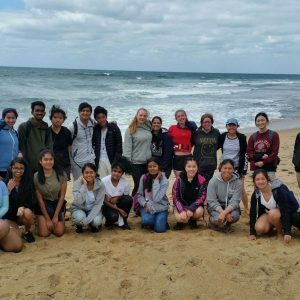 Applications for Year 9 and 11 Student Leadership – Now open! Year 9 and 11 students can now apply for 2019 Student Leadership positions. Students have been spoken to at year level assemblies, and have been emailed the relevant application forms. Applications for Year 11 Leadership are due on Thursday 14 February, and applications for Year 9 Leadership are due on Friday 22 February. Students should email dur@mwsc.vic.edu.au or see Miss Dureau if they have any questions. Thank you to our Year 12 Sports Captains and House Leaders Isabella, George, Nathan, Emma, Emily and Claudia for their support in organising the Year 12 students to lead the upcoming Student Goals session. 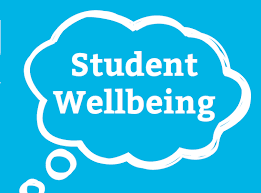 On Tuesday 12 February all students across the college will be involved in a student-led Student Goals session. Students across the college will work with peers in their House to set goals for the coming year in the categories of Community, Choice and Engagement. Each of the 96 groups across both campuses will be led by 2019 Year 12 students. We are incredibly grateful to our Year 12 students for their enthusiasm and for their time and effort in leading the upcoming session. The Model United Nations Assembly (MUNA) is a program for Year 11 students and is part of Rotary District 9810’s commitment to Youth Development. This year MUNA will run on the weekend of Saturday 4 May and Sunday 5 May 2019 at Parliament House, Melbourne. Year 11 students who are interested in competing should see Miss Dureau for more information. Applications are due Wednesday 1 March. Congratulations to Year 12 Prefect Catherine V, who has been selected as one of just 16 young Australians in Years 10 – 12 to take part in the UN Youth Aotearoa Leadership Tour during the June/July school holidays in 2019. The tour will explore indigenous rights, culture, reconciliation, and Australia’s relationship with its first peoples through an intercultural tour of New Zealand. The tour focuses on the rich history and tradition of the Maori people, and the methods used to preserve this culture.Catherine will travel through Wellington, Auckland, Waitangi, Rotorua and Sydney to meet and work with local communities, grassroots organisations, government representatives and NGOs at the forefront of the fight for indigenous rights. On Tuesday evening Year 7 students and their families gathered at the Junior Campus for a welcome BBQ and information evening. Thank you to the 35 Year 8, 10 and 12 student leaders who attended the event. This was a great opportunity for new students and their families to meet our student leaders, House Captains, Prefects and School Captains. Over the past two years the Heads of Faculty and Learning Executive have been collecting data and conducting research into effective student learning theory and how they may be able to create a model that can enhance the outcomes of all learners within our school. 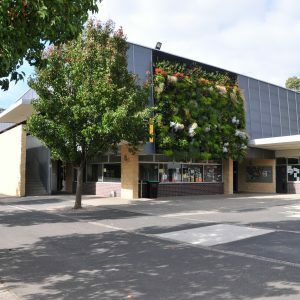 In 2018 the team, along with many students and other staff members, finalised the design process, and 2019 sees the implementation of the Mount Waverley Secondary College Student Learning Model. The desired outcome is that this model highlights the key skills and attributes of effective learners, and provides students with a framework through which to proactively pursue learning excellence and thus enhance individual and collective student agency within the classroom and throughout the college. The Student Learning Model is designed for use by all members of our learning community. Students from year 7 to 12 will be supported and encouraged to make learning goals based on the model and use it to guide them through their everyday learning. Likewise, teachers will be supported to undertake further professional learning in developmental theory and encouraged to engage with the model meaningfully in their teaching. The model will be introduced to students in a range of ways, including the Student Goals process, Mentoring, Home Group and through their everyday classroom activities. There are posters of the model on display in various parts of the college, including every classroom. It will also work alongside our Explicit Instructional Model, which teachers at the college have used to guide effective teaching over the past three years. We would encourage parents and carers to engage in discussions about this model with your children and welcome any questions about the model and its implementation. 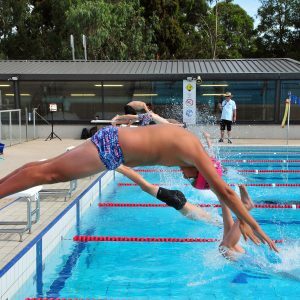 A humid and steamy 32 degree Wednesday 6 February 6 was host to our annual House Swimming Carnival at Oakleigh Recreation Centre. The carnival was filled with impressive individual performances, high levels of encouragement from all attendees and fierce competition between the college houses. As always, house spirit was at fever pitch when the presentation of the House Cup rounded out proceedings. In what was a tense battle all day, the navy blue of Whitten held off Goolagong to claim their first ever House Swimming title! Congratulations Whitten! 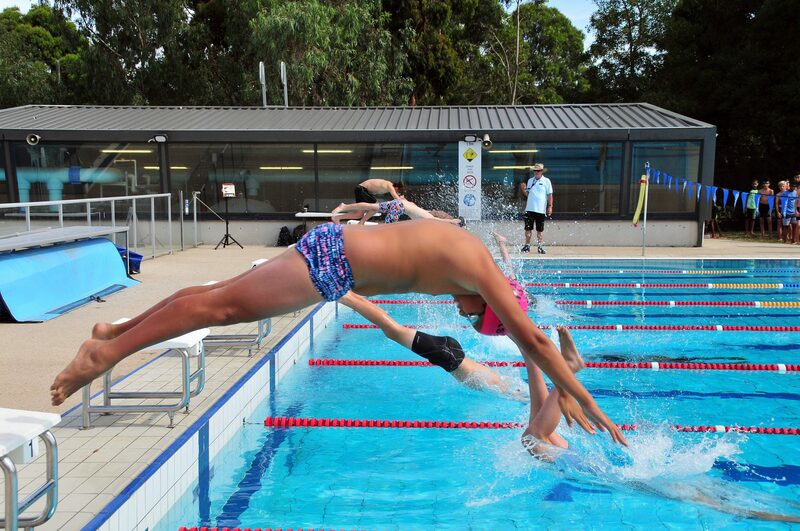 It was once again a successful day for many of our students who can be extremely proud of their participation and conduct, including those who have been successful in gaining a place in our college swimming team. We wish these students the best of luck as they take on the division on Friday 1 March. We also have 5 nurses covering both campus and 3 aides supporting students in classes. As well as the support at school, we have established relationships with key support agencies in the community and are able to help refer students and families. These services include, Headspace, Monash Youth Services and LINK community health to name a few. If you would like to seek advice or refer your child for support please don’t hesitate to contact us. If you child is returning to school after spending some time away due to illness or injury please let one of the nurses know. It is important that we are able to plan their return and there may need to be extra supports in place to ensure a smooth and safe transition back to school. Headspace Hawthorn is excited to be offering the Tuning in to Teens program from Term 1 2019 to parents and carers. Tuning in to Teens is a FREE six-week parenting program run one evening a week for two hours, commencing Wednesday, 20th February 2019. The program will teach parents and carers how to work with their own and their young person’s emotions. By learning and practicing these skills, parents/carers are less likely to have as much conflict within their family and have more open conversations with their young person about the challenging issues they face. If you’d like to learn more about the program, please don’t hesitate to get in touch via email or call (03) 9006 6500. The Breakfast Club is a casual space for students to come before school for a free breakfast (cereals, fruit cups, yoghurt, toast and cheese toasties!) Provided by good friends from the community; St John’s Uniting Church and Mount Waverley Masonic Lodge fellows. ; and some games or use the space to finish some extra homework! Senior school Breakfast club is held in the fishbowl Tuesday and Thursdays from 7:45-8:30am. Junior school Breakfast Club is held in the Food Tech Classroom Monday and Wednesdays from 8-8:45am.